Xiaomi has plans to enter ten new markets this year, and India seems to be among the first of those. The Chinese smartphone maker with a cult-like following has started teasing its presence in India today. There’s a new section for India on Xiaomi’s official website, and the company has even opened a new Facebook page for its Indian operations. 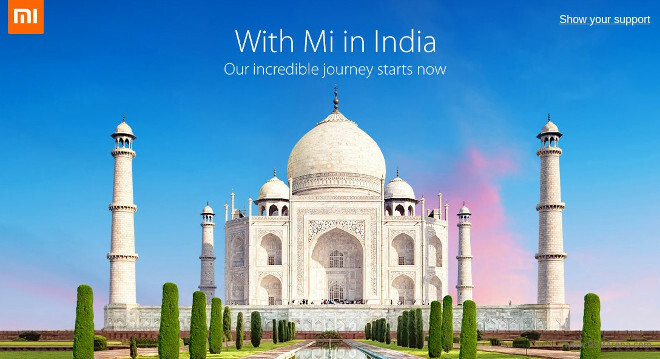 The page on Xiaomi’s website invites you to “show your support” for the company’s arrival in India by allowing it to add your Facebook profile photo to a wall of images depicting those who are excited about the news. And… that’s all for now. No actual devices have gone on sale. No launch details have been given. It’s just basically a teaser campaign at the moment, and nothing else. Xiaomi is about to enter India, that’s for sure, but the exact details of when that will happen are still unknown. That said, it can’t be long now before Indians will be able to purchase Xiaomi smartphones right from their maker. Thanks for the tip, Bhagi!